Technology in the Humanities, U.Va. "VR" stands for "virtual reality." This exhibit will briefly outline the steps by which a real edition of Uncle Tom's Cabin is transformed into a virtual equivalent. 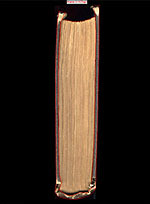 Most of the 3D images in the site aren't virtual, but rather created by stitching together a series of photographs of the real object into a Quicktime movie. (That process is essentially the same as the last step in the process outlined here.) We planned to use that same technique with the editions you can take off the shelf and open in the EDITIONS section of the archive, but when we photographed the books with a digital camera, the difficulties that the camera's CCD (Charged Couple Device) had resolving the images created the interference pattern you can see at the top of the image at right (essentially the same kind of visual buzz you sometimes see when someone's wearing a patterned suit on television). The best way we found to get rid of that problem was to capture images of the sides and inside pages of each book with a scanner, and then assemble those images together virtually, as outlined below. The first step in creating a Quicktime VR book was to scan the 6 sides of each real book at 300 DPI. Because we also wanted you to be able to "open" each volume to one inside page, we needed 2 more scans: the facing pages we chose to bookmark each book to open up to. Each scan was cleaned up in PhotoShop by straightening, cropping and resizing (to 1024 pixels high), then saved in a Pict and ElectricImage (.image) formats. 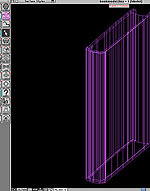 Next each Pict file was imported as an underlay in FormZ, a software program designed for building virtual models. In FormZ we traced the contours of the book in each of the scans. Next the traced contours were extruded to create "objects" for a front cover, back cover, etc. 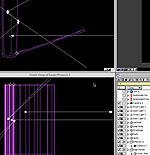 In this stage each object was scaled to a specific height to insure consistency in the Animation step. Then each object was exported as an ElectricImage .fact file. Next the .fact files were imported into ElectricImage. In this program the book cover was linked to a rotation effector to "open" it, a camera was inserted aimed at the front of the book and attached to a sliding effector to keep it centered on the book as it opened. 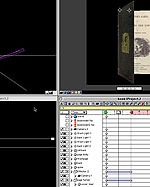 The .image files from the Scan step were assigned as textures to the book parts, adjusting the material properties as needed. 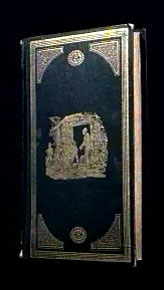 To make virtual reality look more like "real" reality, directional spotlight sources were inserted to illuminate the book and cast shadows. 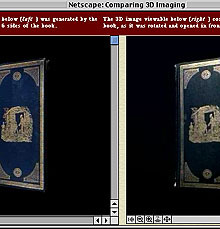 Then the whole was rendered as both a QTVR and a regular movie: the QTVR render captured the rotation of the closed book, enabling the user to turn it over; the regular movie render captured the cover opening, enabling you to look inside. Next the two sequences (QTVR and regular movie) were merged in MoviePlayer. 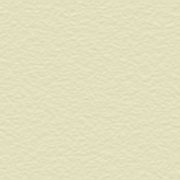 (The open sequence was copied and reversed to get the close sequence.) After saving this as a new, self-contained movie, we created a new QTVR object in QTVR Authoring Studio. The self-contained movie was then imported with a compression rate set to Sorenson Video High (75) with a frame rate of 2fps, then saved as a flattened movie. 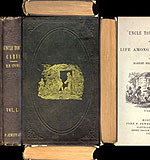 You can view an example of the finished product, and compare a virtual image of an edition of Uncle Tom's Cabin with a 3D image created entirely from digital photographs of a real volume, by clicking on the image at left. Differences between the two images are detectable, but we hope you'll agree that the virtual image captures the thing itself reliably, and with a clarity that we were not able to reproduce without it. The two sets of links below will allow you either to view the archive's various 3D images, or to go to the webpages of the various software programs used in creating the images.